For some bizarre reason today I find three attempts to put affiliate links in the comments on my video. 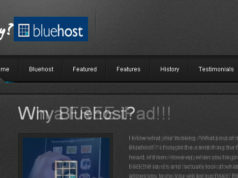 Clearly affiliates of 000webhost.com are not paying attention, especially since I decided to go after whybluehost.com (I am actually not done yet). What I am trying to understand is if you give free hosting away with no advertisements, how can you afford to pay $5 per referral? Their website while clear on pointing out referral payments does not state costs of any other service. There are no guarantees at all that you will have service. Clients are encouraged to pay by credit card as it is the easiest way to handle payment at this time. These companies should be avoided. Next articleWho do I recommend?